A passionate landscape painter, Maria Josenhans creates oil paintings both outdoors on location and in her North Vancouver studio. Maria considers the landscape as her garden, a place of connecting with beauty that gives rise to something new and reaches beyond daily concerns. Whether it is a grand vista or an intimate pool by a stream, her aim is not to have the viewer experience what she sees and feels, but to create a space that shares a tender tribute to the ordinary. As an artist for more than three decades, Maria's career has been shaped by long periods of immersion in large format photography, championship highland dancing, teaching and traveling the world. 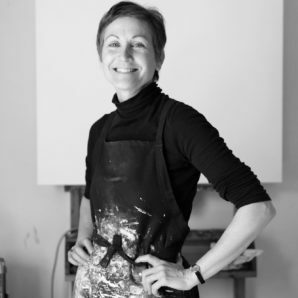 She holds a BFA from the University of the Arts, Philadelphia, PA, has been the recipient of numerous awards and grants, and continues to take part in Invitational Plein Air events both nationally and abroad. Her work is found in corporate and private collections throughout Canada, the US, and Europe.